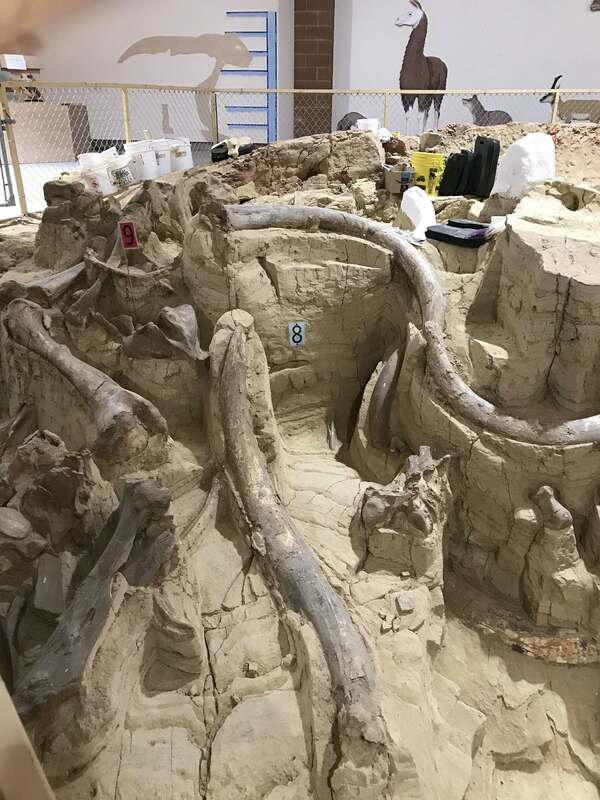 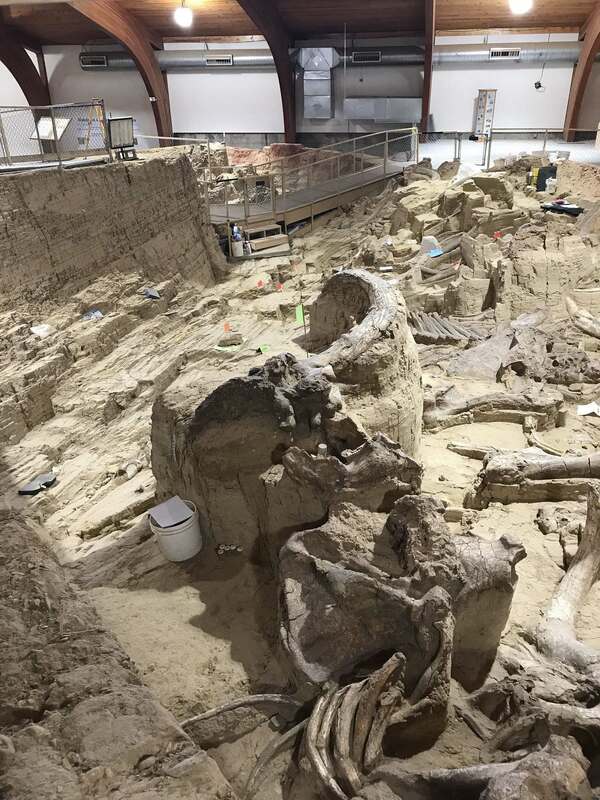 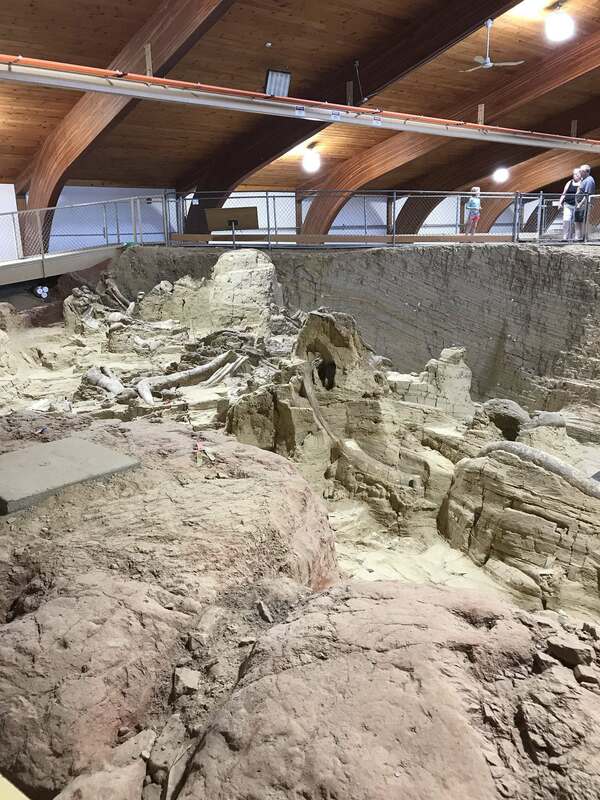 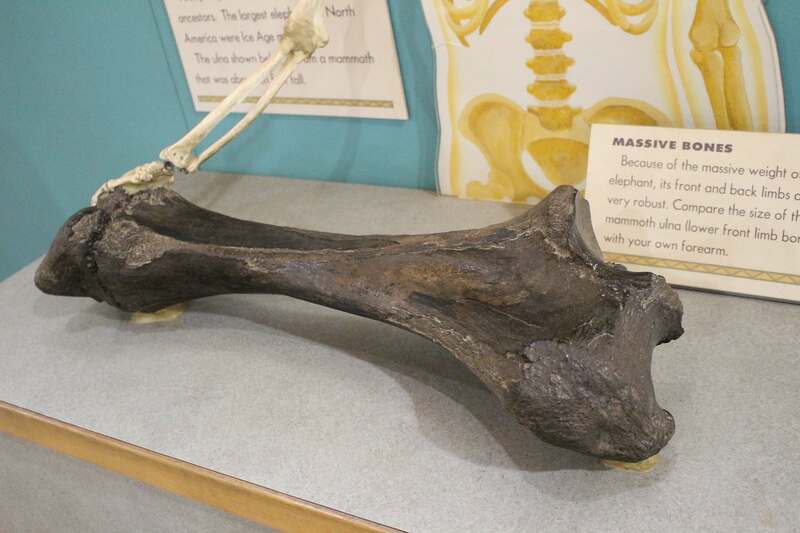 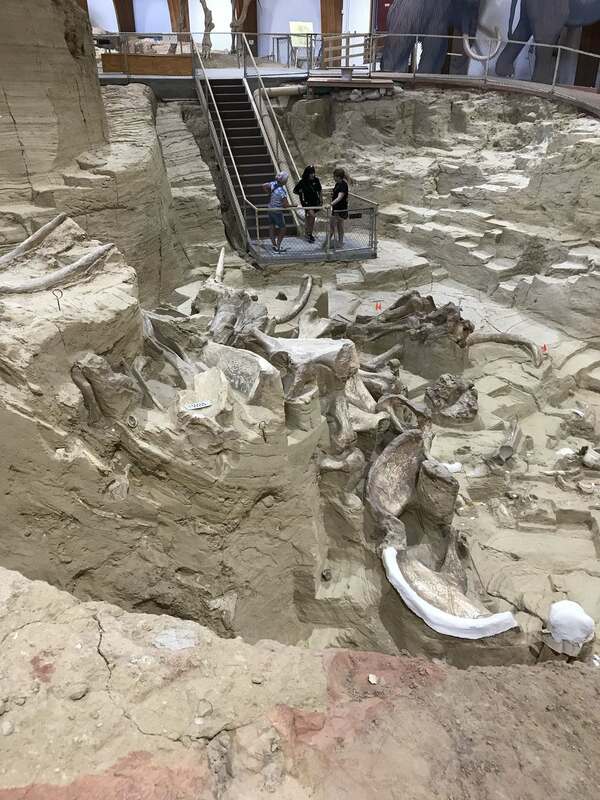 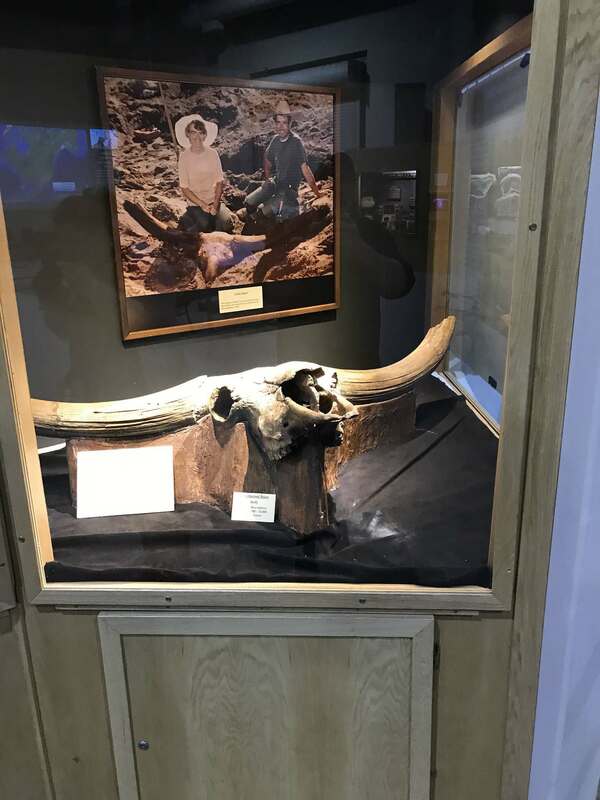 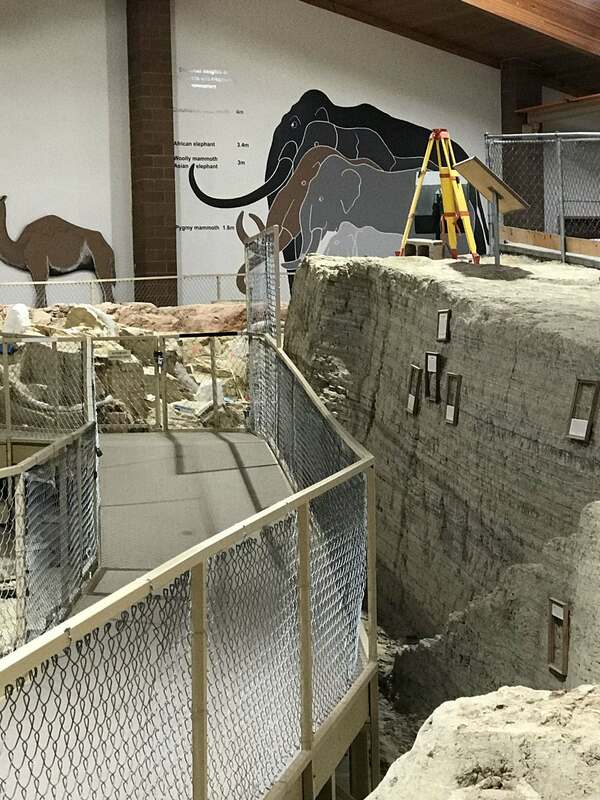 The Mammoth Site of Hot Springs is an active paleontological dig site, which boasts the largest concentration of mammoth remains in the world. 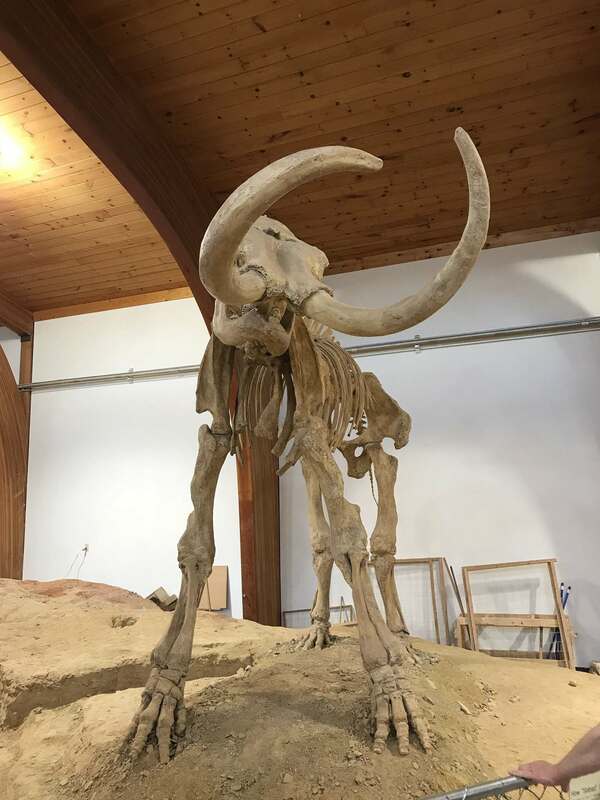 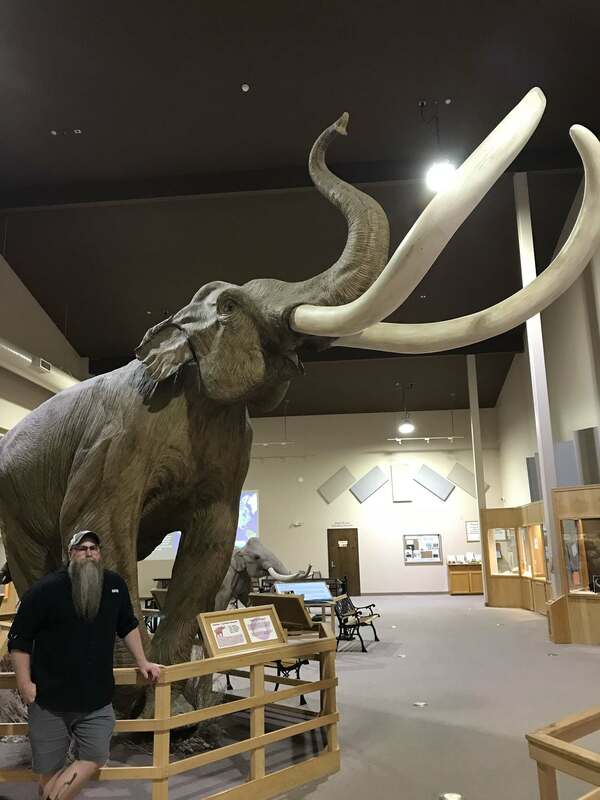 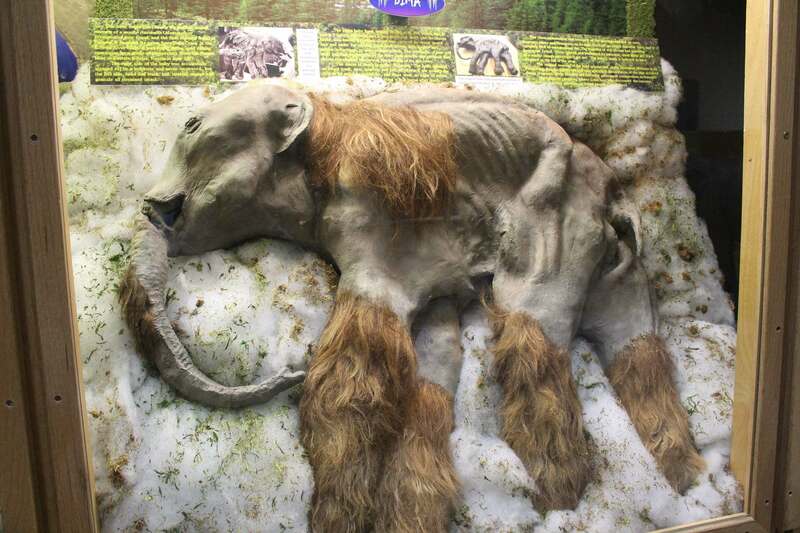 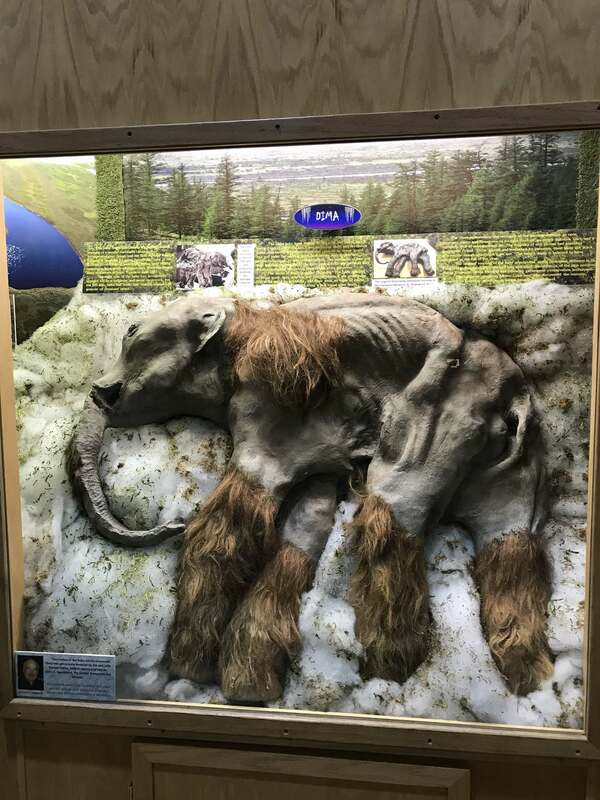 Current mammoth count is 61, with 58 Columbian and three woolly mammoths. 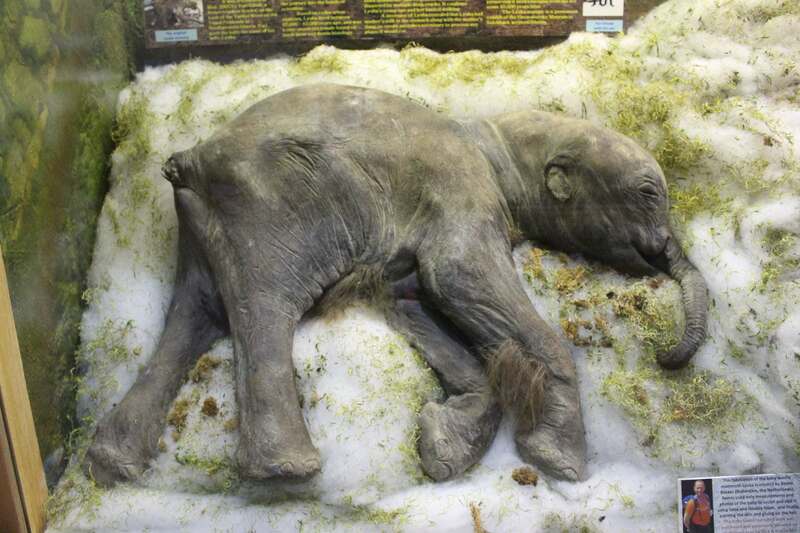 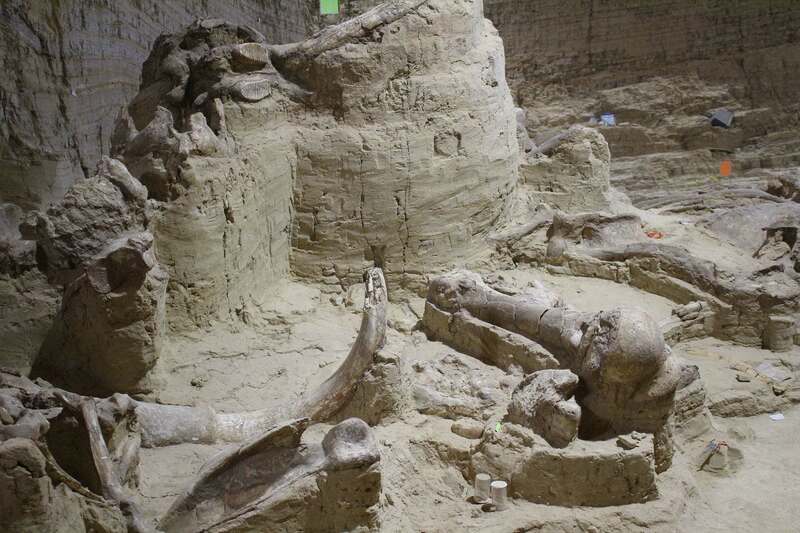 Mammoths and other megafauna got trapped in a sinkhole and drown about 26,000 years ago. 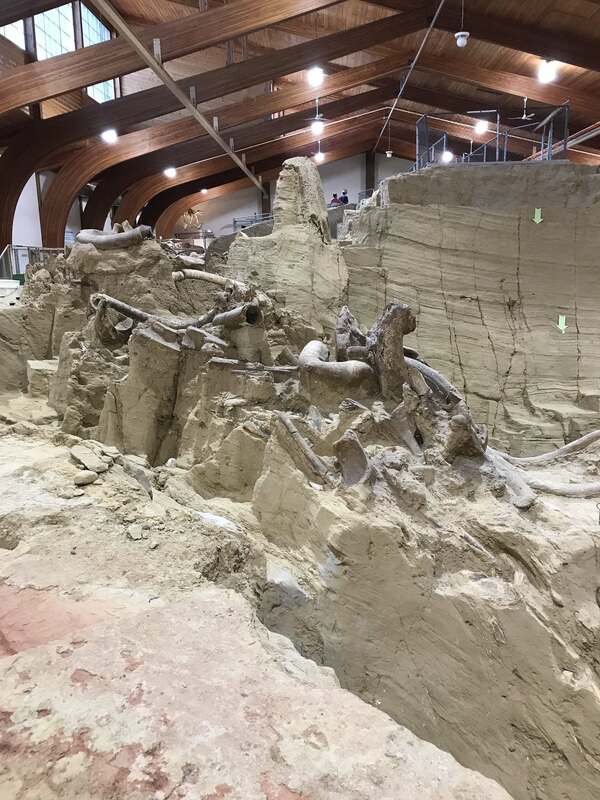 Their bones were buried and preserved.Paleontology is the study of pre-existing life based on fossils. 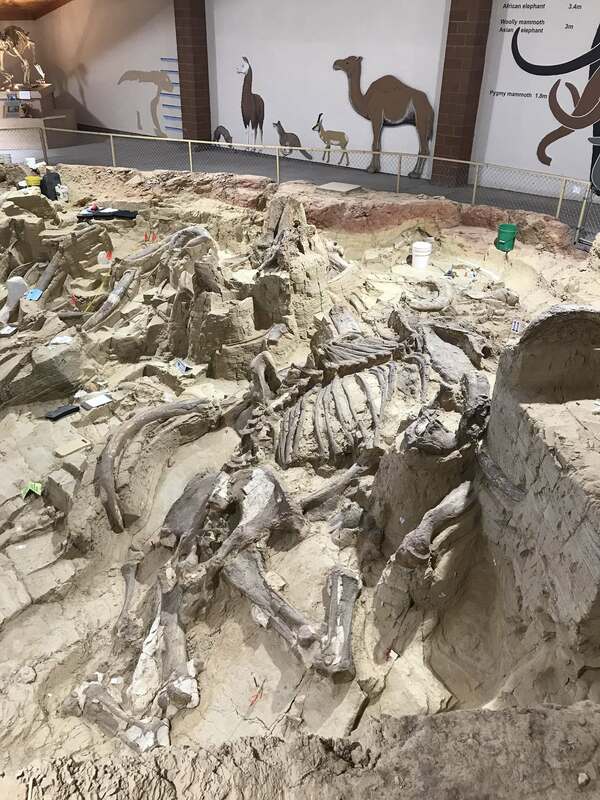 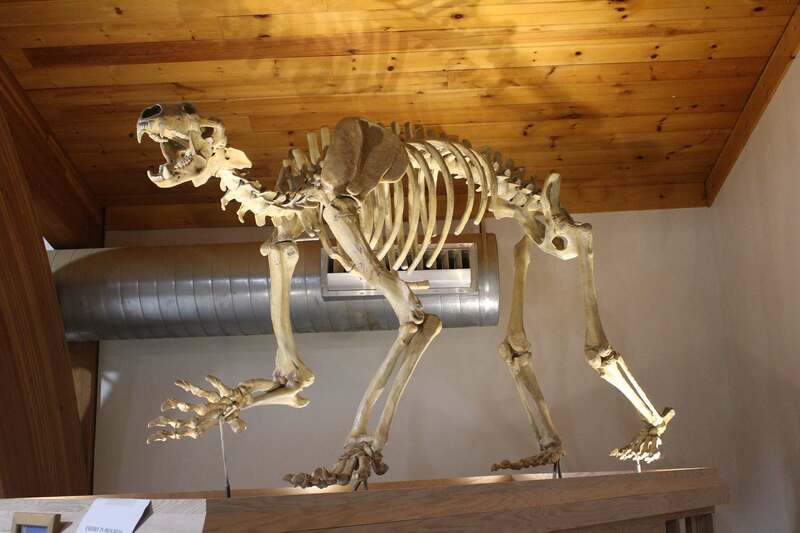 A fossil could be an actual portion of the animal, such as bones, teeth, or shells, or maybe replaced by minerals such as silica, iron and manganese as in petrified wood. 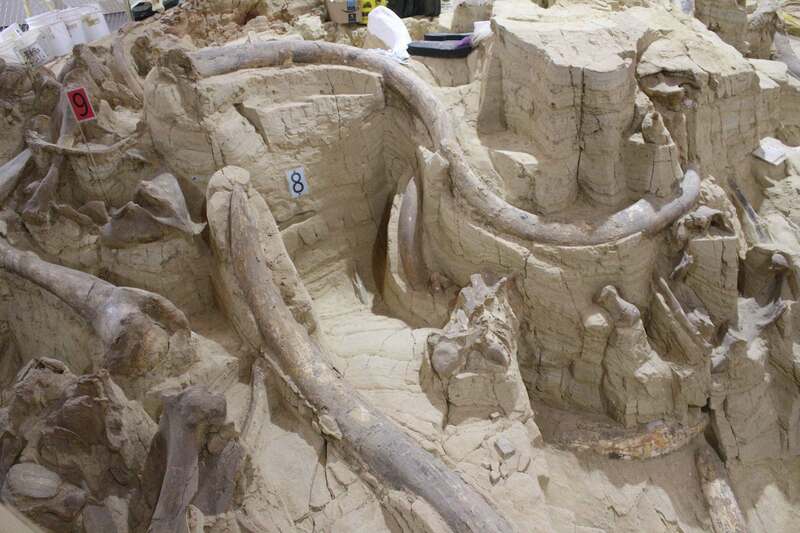 A fossil may also be a track or a trail, an imprint or a cast, anything that indicates preexisting life forms.